"Naruto" creator Masashi Kishimoto announced a manga sequel release date will be Spring 2015. Shonen Jump On Monday, Nov. 10, the Weekly Shonen Jump Issue 50 will finally release the final chapter of the "Naruto" manga. After 15 years since "Naruto" was first released in 1999, the epic ninja manga will end with a 44-page chapter 699/700 doubleheader. What's more, "Naruto Shippuden" chapter 700 will be printed completely in color. Like many manga fans, I was shocked when I first learned that creator Masashi Kishimoto officially announced the end of "Naruto." While the end to any anime is inevitable, the longevity of "Naruto" made the announcement rather unexpected. However, a new report reveals that Kishimoto is planning another sequel to "Naruto Shippuden." For the fans that have been following the Naruto manga, you will know that Sasuke and Naruto have yet to settle their differences. While the rivalry between the two ninjas will always be a core plot, the shinobi world will continue to go on and there are many other stories to tell as well. According to Kishimoto, a new ninja series following "Naruto Shippuden" will arrive in Spring 2015. That said, insider sources suggest the encore series will actually be relatively short. The long-awaited "Naruto Shippuden" sequel manga "Naruto Gaiden" release date is slated to finally arrive April 27 on "Weekly Shonen Jump." 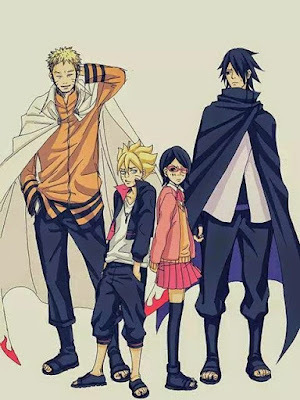 According to Crunchy Roll, the full title of the new manga is "Naruto Gaiden: Nanadaime Hokage to Akairo no Hanatsuzuki," also known as "The Seventh Hokage and the Scarlet Spring Month." Last week, we reported that "Naruto Gaiden" will focus the story arch around Hokage Naruto and son Bolt. 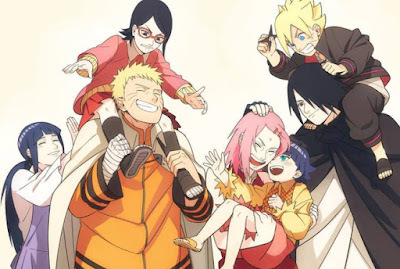 What's more, Naruto fans will get to see the children of other popular characters as well. 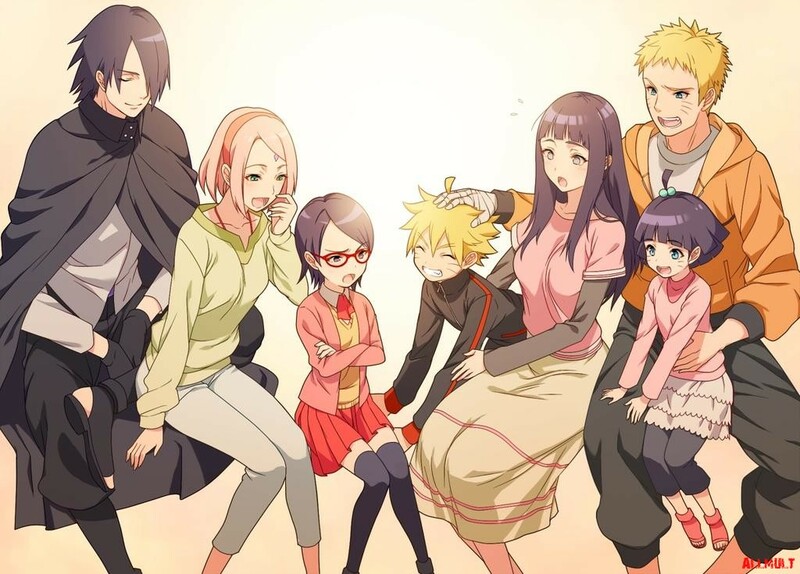 Specifically, expect Sasuke and Sakura's daughter Sarada to play a key role in Bolt's adventures (or misadventures). 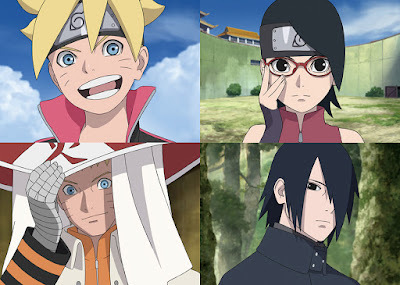 As the month of March comes to an end, manga sites Anime News Network and Crunchyroll both shared new illustrations of Hokage Naruto, son Bolt, and Sarada. No doubt, additional sketches are expected to leak in the weeks ahead.